A time is coming (in time) – when the Church will be completed.. a time when the fullness of the Gentiles will have come in.. a time when the Lord Jesus comes for His bride – at the rapture… time when the 2000-year long Christian dispensation is completed. A time is coming when God will once again turn His attention back to Israel.. time of prophesied tribulation; a time of judgment; the time of Jacob’s trouble.. time when the gospel of the kingdom will have been taught worldwide – time when the veil over the heart of the Jewish nation – is lifted. The millennial rule of Christ will be ushered in. The mystery of God will be accomplished and completed. The finished, finalised house of the Lord will be built up of living stones. The 6000-year long dispensation of man under Satan’s rule will be over – and Satan will be bound for 1000 years in the bottomless pit. No-one who isn’t covered, cleaned, redeemed, forgiven, born again can overcome. Forgiveness through faith, is the first crucial step to being an overcomer. For without the blood of Jesus there is no forgiveness of sin, and without the blood of Christ there is no communion with God. Without the blood of Jesus, no one can defeat Satan, sin and death. 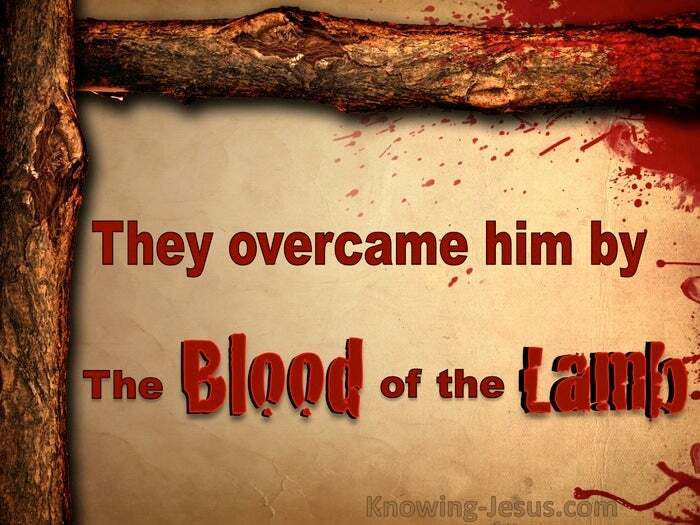 Without the blood of Christ, no one can overcome the world, the flesh and the devil. The blood of Jesus is often only seen in the context of forgiveness of sins, but there is more that this cleansing flood has achieved in a believer’s life. It includes His indwelling; sanctification; glorification; overcoming the enemy. All that can be achieved in our lives – is connected with the blood of the Lamb, “and They overcame (the enemy) by the blood of the Lamb ……,” The devil comes with all subtlety to accuse the brethren, and many believe his lies, but the liar accusing you is really pointing his scabby finger through you to the Lord.. for Christ stands between the accuser and you – and nothing can touch you. No sickness or illness– no loss or deprivation – no trial or disaster – nothing at all. Nothing can touch the child of God who is purchased by the blood of the Lamb – nothing, including Satan, can defeat the blood of the Lamb. 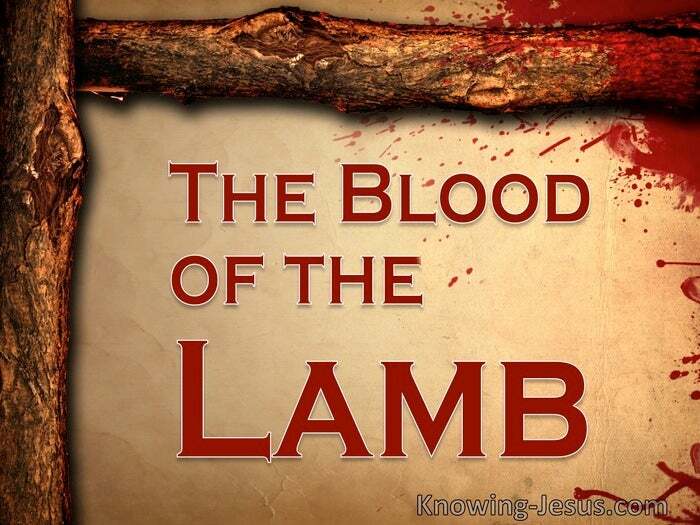 Oh, God may permit sickness or loss, and will allow trials and disaster, but nothing will remove you from the protective covering of the blood of the Lamb, and nothing else is good enough but the protective covering of the blood of the Lamb. When the accuser starts to point his intimidating finger in your face. Don’t try to answer his charges by means of your own self-effort. Don’t slip back into your old ways of penance and afflictions of the flesh. Don’t step out independently, thinking God cant work out your problem by Himself. Don’t answer his accusations by producing your own good works of righteousness. Don’t believe the accusers lies – that God is not sufficient for all our needs.